Ellen your site has a vast amount of fantastic information. I enjoyed our Past Life Healing session immensely and it was of great help to me. My Past Life Profile seemed very accurate and was very interesting. It seemed very related to me when I was reading it and had to deal with my problems. Dear Ellen, Thanks so much for the past life reading you did for me recently about a life in Egypt. That unlocked a lot of things propelling me forwards. Since receiving that reading, I have had two more past lives present themselves almost spontaneously through clustering. Until now, I have had little ability to recover my past lives and, particularly, to see how they are effecting my current life. It's like you removed a huge obstacle with that first reading. I've been seeing crickets in my house lately. I take that as a sign of extreme good fortune and also indicative of a huge leap forward. Thank you so much for your assist. May the blessings be! I enjoyed my conversation with Ellen very much. She gave me great guidance and it was obvious that she knew me well. I only hope that I can follow her recommendations and help myself live a more fulfilling and meaningful life. Ruby! Thank you so much Ellen for your advice and kind words. Your website has inspired me to get up and change the things I'm not happy with in my life and that's exactly what i'm going to do!! And a big thank you to all those who help you make this website what it is! I just wanted to say that the people at PAST FORWARD are absolutely wonderful! I came to this site to ask for some help and I was very lovingly attended to. I certainly recommended these lovely people to anyone who would like assistance in healing themselves and the planet. The kindess offered by Ellen just touched my heart! Thank you, with Love and Blessings! I was searching for answers to questions of my life when I was given this site to look into. So I did. Here I found comfort in knowing that others shared my beliefs and understood the path I was searching for. It is the light that God has shown me to the path in which I must walk to be all that I am meant to be. This site offers me a helping hand. The education of what I need to know to be all that can be and all that I am. Thank you! Your site is wonderful. I have finally opened my eyes, mind, and soul to realizing my true potential & I am making changes. My journey down the spiritual path will be much easier due to the wealth of information you have shared. My sincere thanks to you & I will guide others to your site for them to obtain the knowledge as well. This site is the best on the net. Please keep up the great work and keep adding material. Thank you. Very helpful site, I already took notes from your pages and cannot wait to read more when i go back to your "lazy" page (: . Thank u for all your hard work in putting this site together. Blessings! I think more and more people these days are becoming wiser with their views on "life after death" or shall I say the many lives after many deaths.=) That's a little humor for you folks. I am defined by my spirituality. I really wonder if anyone out there loves there life as much as I do. I love who I am, even though I carry many aggressions from lives before. Let's hope this time I can stay in the heaven that every soul wishes to enter someday to be free of troubles forever. To be this open to past lives is to be very wise. Thank you so much for your healing and centering website. You have helped me greatly in a time of need and reminded me of what is important. Please accept my respect and gratitude. 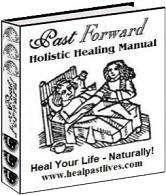 This is a great web site that's serious about healing and past lives. It has given me many answers and most importantly it has shown me that indeed my problem is of spiritual nature and not just psychological as I have been told. Hello, Just wanted to sign your guestbook and let you know that I enjoy your website. Thank You, Watergirl! Thank you for this site...it is very enlightening. Blessings to All from Puerto Rico. Love, Hugs, Peace & Taíno-tí (I Honor the Light in You). Thank you Ellen for your help with my life dilemma. You helped me to realize that I need to work more on my self love. Thanks. This is a lot to think about. I'll be back.